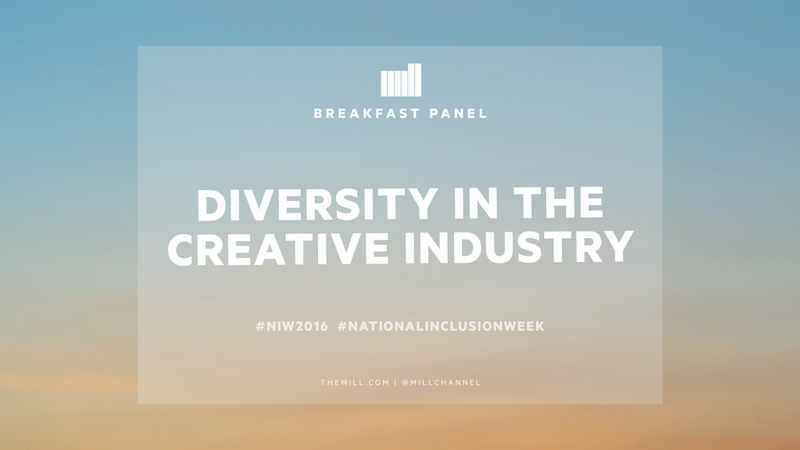 This morning The Mill’s London Studio hosted a Breakfast Panel session tackling issues associated with 'Diversity in the Industry' as part of a full programme of internal events, supporting the National Inclusion Week initiative. The panel, chaired by Emma Sexton (Founder and Creative Director at Make Your Words Work), included Jamal Edwards (Founder and CEO of SBTV), Vicki Maguire (Executive Creative Director at Grey), Louise Hussey (VFX Chair of Animated Women and Executive Producer at DNEG), Jennifer Byrne (Head of Development at Somesuch), Paul Frampton (Group CEO, Havas Media Group) and The Mill’s Executive Producer Reece Ewing. The panel engaged a packed room with a wide variety of debates covering key issues including gender, race and LGBT rights and the challenges of confronting these issues in the workplace. Thanks to all who attended and helped to make it such a stimulating and dynamic session. To find out more about National Inclusion week, click here.